Artist, Mystic and Magician, Amanda Holstien, resides in Houston, TX and provides divination services, spiritual mentorship and spellwork to clients throughout the Houston metropolitan area and online through phone/skype. As a practitioner of Solomonic Magic, Amanda aligns her gifts of intuition and prophecy with her divinatory and magical practice in line with rigorous Solomonic planetary correspondences. The tradition of casting runes, like tarot, is a form of divination which provides you the opportunity for insight and guidance. 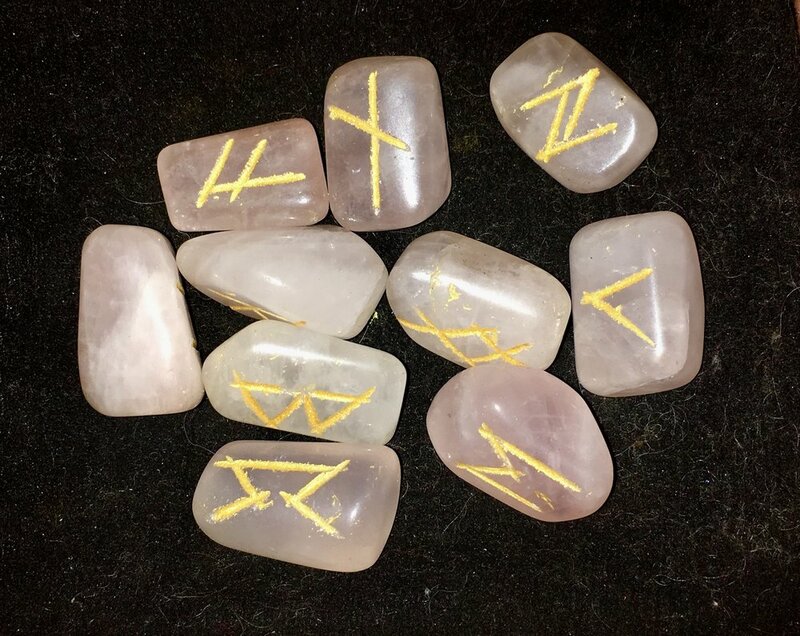 Using the symbolism of the runes, combined with Divine Intuition, these readings are greatly supportive and helpful for those facing life challenges or making decisions about upcoming events and present uncertainties. Seasonal, Annual, and lunar Readings afford you vision for your future while individual readings can answer difficult questions that you may have. Runes are an ancient alphabet derived from Germanic and Norse Traditions. There are many versions of the runic alphabets. Each has variations in names, shapes, esoteric meanings and magical uses. Using a combination of Casting Runes and intention setting, your Reading provides you with a divine and blessed guide as you journey your Life’s Path toward flourishing and fulfilling your destiny. Do you consider yourself "spiritual but not religious"? Do you consider yourself a spiritual person but feel as if you're wandering alone without any particular direction? Is there a particular area of your life wherein you feel stuck & need a fresh set of eyes (career, love life, etc)? Do you just need someone to talk to but can't afford a therapist? If so, I would love to help you find direction, feel less alone and flourish! I have 20+ years of experience in spiritual work, including a background in philosophy, psychotherapy and religious studies. In accord with divine intuition and wisdom, you will leave your session with a deeper sense of self and connection to the Divine.